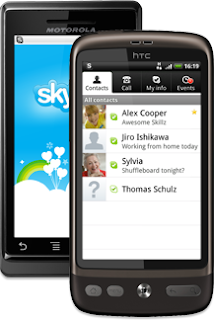 Skype team has just updated their Android app. -Use the app on your Samsung Galaxy S, as long as it’s running Android OS 2.2 or later. You can find out how to update your phone on the Samsung website. -Store the app on your phone’s SD card if it’s running Android OS 2.2 or later. If you store the app on your SD card, the data Skype uses while the app is running is still stored on the internal memory of your phone. Skype team expects this to take up around 15MB of space for most people. To get the update, head to skype.com/m on your phone.